The Law Firm of Royal & Miles LLP provides the personal attention of a small law firm, while obtaining the big results of a large law firm. Our attorneys are committed to delivering the highest level of legal service to the firms clients, and have experience litigating both small business matters, and large multi-million dollar trials. Whether advising a business, defending a client in a lawsuit, or protecting an injured victim, our attorneys are experienced advisors and trial litigators. The firm’s attorneys use those qualities on a daily basis to provide the most effective, yet cost efficient litigation service for their clients. 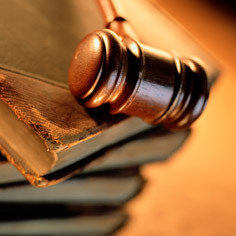 Our attorneys are always prepared for the courtroom, yet maintain a problem-solving approach for your litigation needs.